When people mention how Black women have been the conscience of the Democratic Party, Lee's history of risk-taking makes her stand out from the crowd, and it's time she was recognized for it. When I think of Democrats, I often let out a sigh, then an eye roll and, depending on how deeply I feel played, maybe some of my favorite curse words. While I don’t share the concerns some have over “purity tests” within the party, there is indeed a difference between those who actually live up to the purported ideals of the Democratic Party and the corporatists only pretending to. Still, there are some Democrats who have managed to exist in Washington, D.C., for a significant amount of time who don’t reek of hypocrisy or cowardice. 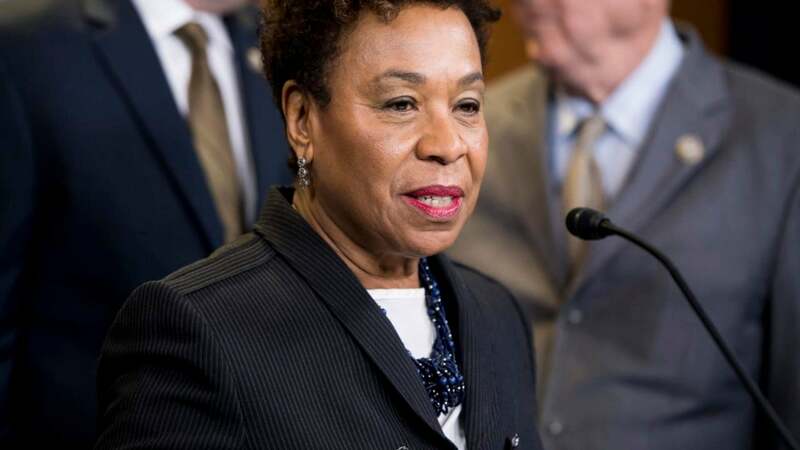 Among them are Rep. Barbara Lee, who represented California’s 9th Congressional District from 1998 to 2013 and since then has represented the 13th. There are multiple reasons to laud Lee, including her volunteer work with the Black Panther Party’s Community Learning Center and the presidential campaign of Shirley Chisholm, as well as her long-standing work as a much-needed progressive voice in Congress, such as her efforts to increase HIV/AIDS awareness and combat poverty. When I think of Lee, however, my mind typically shifts to the political position she is most infamous for taking. On Sept. 14, 2001, Lee delivered a speech before Congress detailing why she would be opposing the Authorization for Use of Military Force, or AUMF, legislation that President George W. Bush’s administration wanted to pass authorizing military force after the terrorist attacks of 9/11. The 60-word draft bill was succinct but nonetheless substantial because its broadness would allow the executive branch even more power to essentially launch wars without input from Congress. Lee turned out to be the lone dissenter, but her remarks carried a level of thoughtfulness and bravery not shared by any of her colleagues (regardless of party). Lee recently repeated that speech—which led some to brand her a traitor—before Congress on the 17th anniversary of its delivery. Many have since cited Lee’s remarks to highlight her foresight, but it bears repeating, given the recent death of former President George H.W. Bush, who apparently also felt that the second Iraq War was a mistake. And there is, of course, the war that preceded it in Afghanistan, the very one that has yet to end and continues to cost so many American lives. Yes, but these types were all warned, weren’t they? When people mention how Black women have been the conscience of the Democratic Party, I think of the risk Lee took in that moment and how improbable it is that many of her colleagues, then and now, would ever dare to be that courageous. We live at a time when an ignorant narcissist whose callousness is exceeded only by his ignorance sits at the top of the executive branch. We need people in leadership who will challenge him at every turn instead of caving in to his ridiculous border wall, like Senate Minority Leader Chuck Schumer (D-N.Y.). And frankly, while my aim is not to pit Black against Black, all the same, I am disappointed that Lee was defeated by Rep. Hakeem Jeffries of New York for chair of the Democratic caucus. In July, when Lee announced her bid for the position, she told Politico that Black women have been the “backbone of the Democratic Party” and should be “the face of leadership also,” and went on to say that Black women have long proved that they can “lead not only our communities, but lead our country on the very tough issues facing us.” Lee has never had the sort of leadership position typically given to her clueless, corporatist male counterparts, and it is about time that changed. Pelosi’s invocation of Chisholm’s name makes sense given Lee’s history with her and the history of Black women in the Democratic Party, period, but as one alum of former President Barack Obama’s administration recently pointed out, Chisholm ran for caucus chair in 1977 and received 100 votes, while, more than 40 years later, Lee received only 113. That is not progress, even if the man who defeated Lee is Black. The rumor worked because, with Lee as a dissenting voice on 9/11, it registered as plausible. So although Pelosi may have provided damage control, it’s difficult not to remain angry over how Lee was treated. Jeffries, like Crowley, is another Democrat backed by big money who dances in moderation to the detriment of the rest of us. This was the Democratic Party’s opportunity to make up for past treatment of Black women. The consolation prize is fine, but it does not negate the fact that Democrats once again failed miserably.